Bryan Reimer, Ph.D., is a Research Scientist in the MIT AgeLab and the Associate Director of The New England University Transportation Center. His work aims to find solutions to challenges associated with driver attention management, distraction, automation and the use of advanced driver assistance systems to maximize mobility and safety. 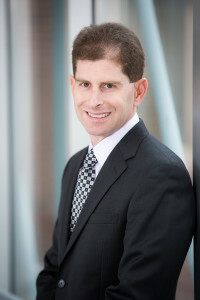 He collaborates with industries worldwide and founded and leads the Advanced Human Factors Evaluator for Attentional Demand (AHEAD) consortium, aimed at developing the next generation of driver attention measurement tools and the Advanced Vehicle Technology (AVT) consortium, focused on developing an understanding of driver use of emerging vehicle technologies including automated driving systems. Dr. Reimer has been honored with an inaugural 2018 Autos2050 Impact Award for his innovative contributions to the automotive industry. He is an author on over 200 technical contributions and a graduate of the University of Rhode Island with a Ph.D. in Industrial and Manufacturing Engineering.